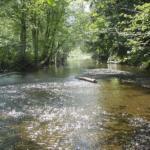 Pysht River Protection Area, restoring habitat and recovering salmon. 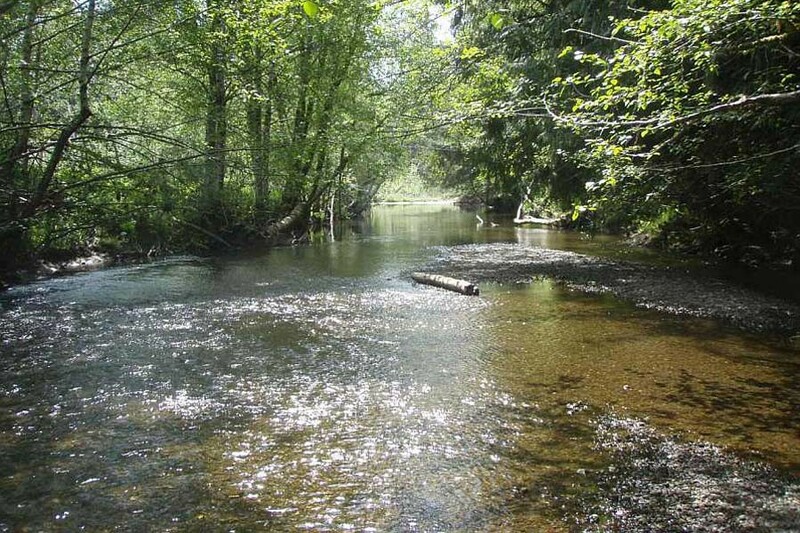 Despite its relative lack of development, salmon runs in western Clallam County are also emperiled and a shadow of their former selves. 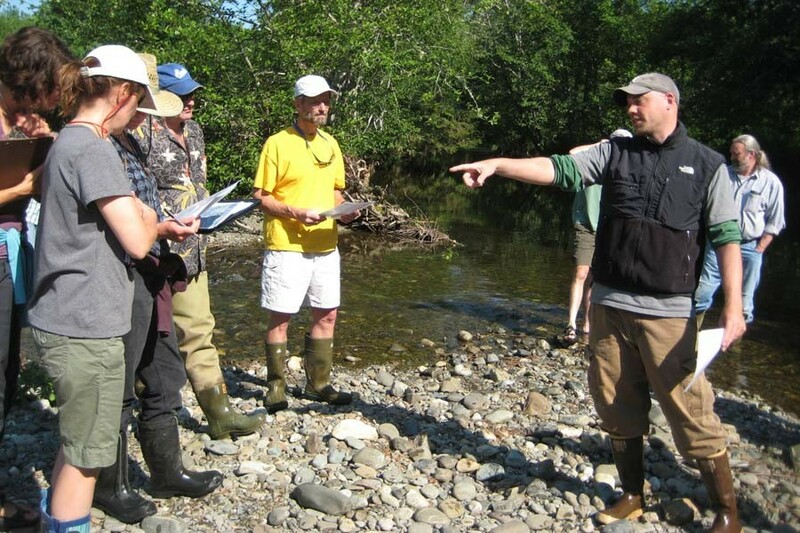 The North Olympic Land Trust, in a partnership with the Makah and Elwha Tribes, are working to restore habitat to recover salmon in the Pysht River watershed. 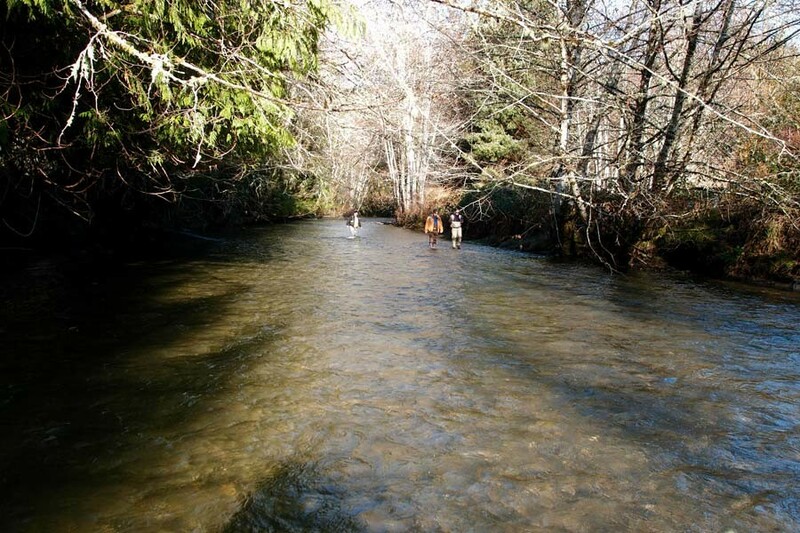 The Pysht river supports coho, chum salmon, cutthroat trout, and winter steelhead but only a few Chinook are seen each year. Several hundred Chinook were observed into the late 1950s, but that already diminished salmon run rapidly collapsed after that. 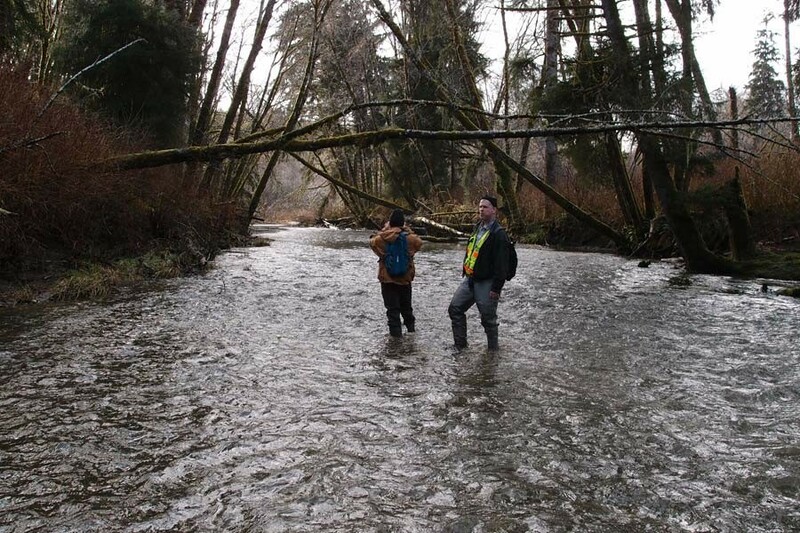 Watershed analysis confirms that lack of floodplain connectivity is one of the major factors negatively impacting salmon runs in the Pysht. 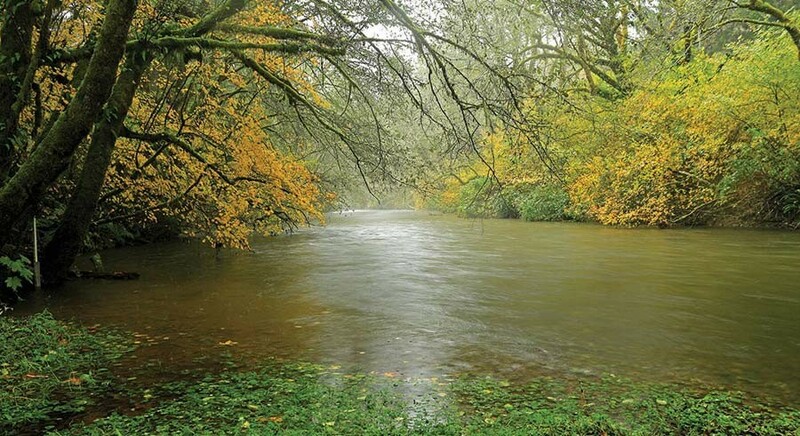 As part of a multi-phase effort, the Land Trust, with support from the Lead Entity and state funders and a willing land owner; purchased 21 acres of Pysht River Floodplain between River Mile 9 and 10 in 2010. 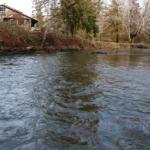 The property was zoned as residential, despite being in the river’s floodplain. The area includes both sides of the Pysht River and is a key part of the river’s channel migration zone. It also includes upland second-growth riparian stands important to river health and a small wetland. 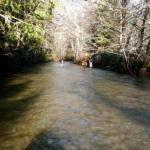 The project protects important salmon habitat used annually for spawning by multiple salmon species. 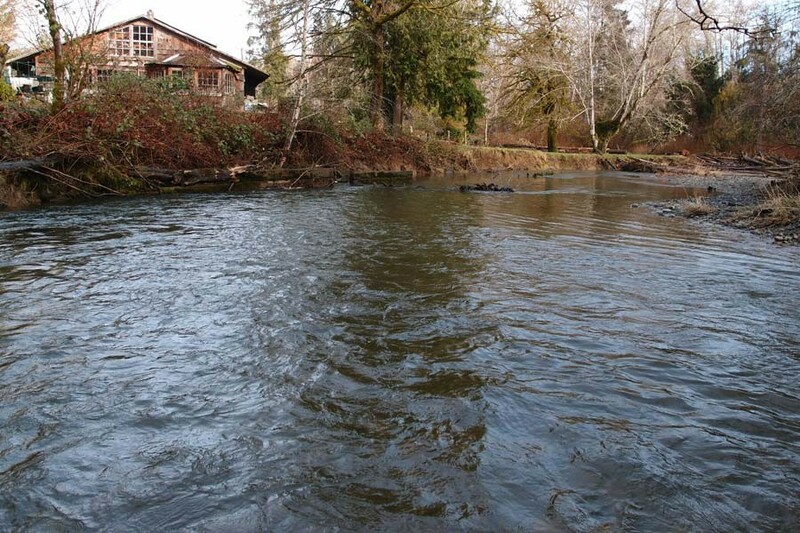 After the Land Trust purchased the property, the Makah Tribe removed a vacant and dilapidated home, outbuildings and fencing. 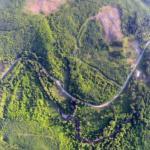 Invasive and non-native plants were removed and the area replanted by the Makah and Elwha Trive with trees and other native vegetation. 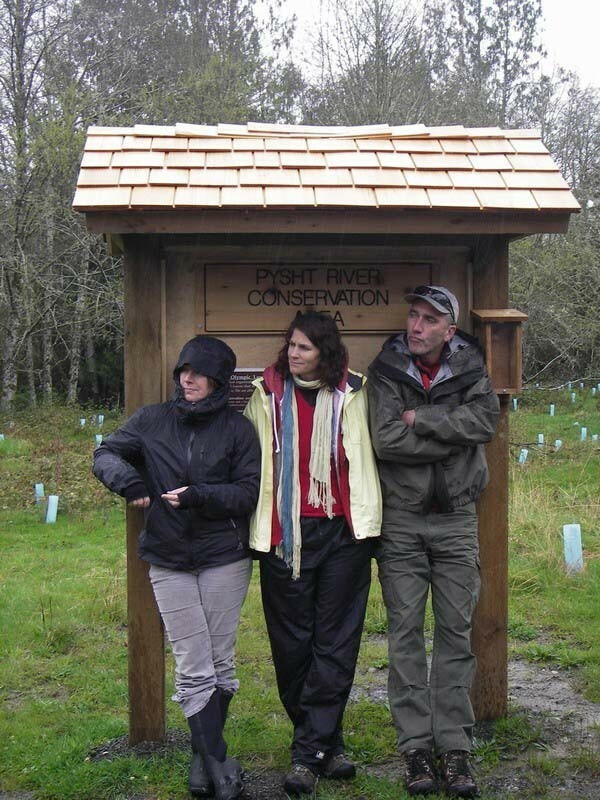 A small parking area just off Highway 112 was created by volunteers and the property is now known as the Pysht River Conservation area. 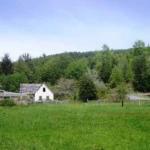 It is free and open to the public and provides access to the river for fishing, hiking, picnicking and birdwatching. 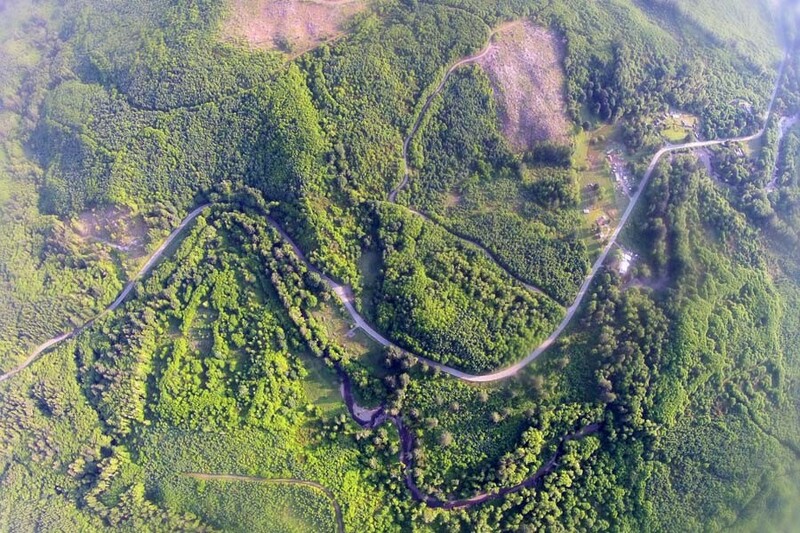 In a subsequen years, additional area was acquired for conservation, so now 74 acres has been protected, including almost two thirds of a mile of Pysht River, 1400 feet of Green Creek, and 4 wetlands. 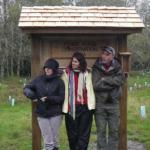 The area was replanted with over 7,000 native trees by the Makah and Elwha Tribes. Additional restoration by the Clallam Conservation District and Merrill &amp; Ring resulted in another 4,700 trees and shrubs being planted. Another project phase s continuing in 2018. 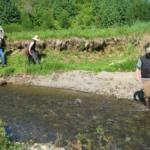 The Elwha Tribe is preparing to add wood to the river. 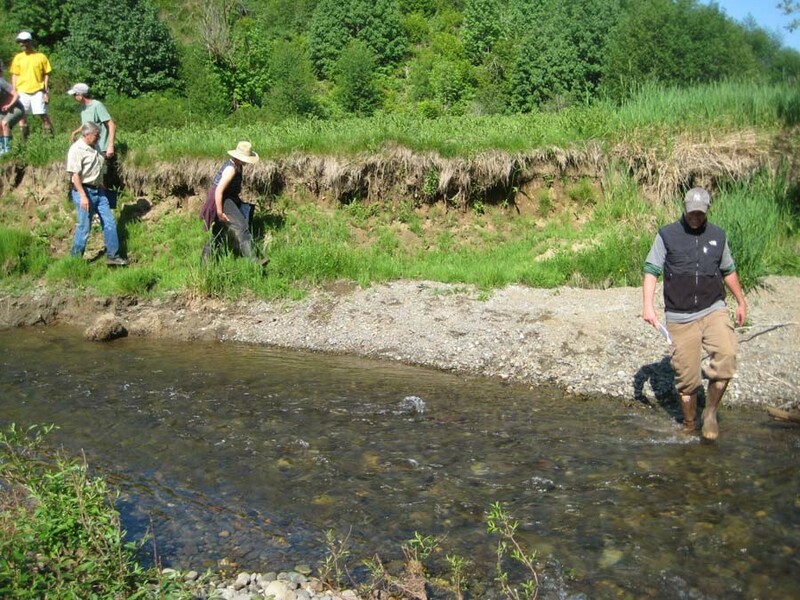 That will promote overwintering, off-channel habitat for salmon and large wood jams will improve river channel complexity and promote natural river channel meander. Additional, future floodplain revegetation plantings are also anticipated. 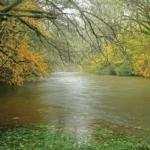 Healthy trees provide cover which helps keep river water cool for salmon. As the trees mature, some will fall into the river where they add complexity and create protection areas for salmon. Other trees fall in the floodplain forest where they become nurse logs which nourish the riparian corridor and watershed. 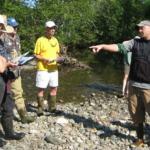 In this way, the project aims to restore natural processes and functions which promote, protect and sustain ongoing river health.